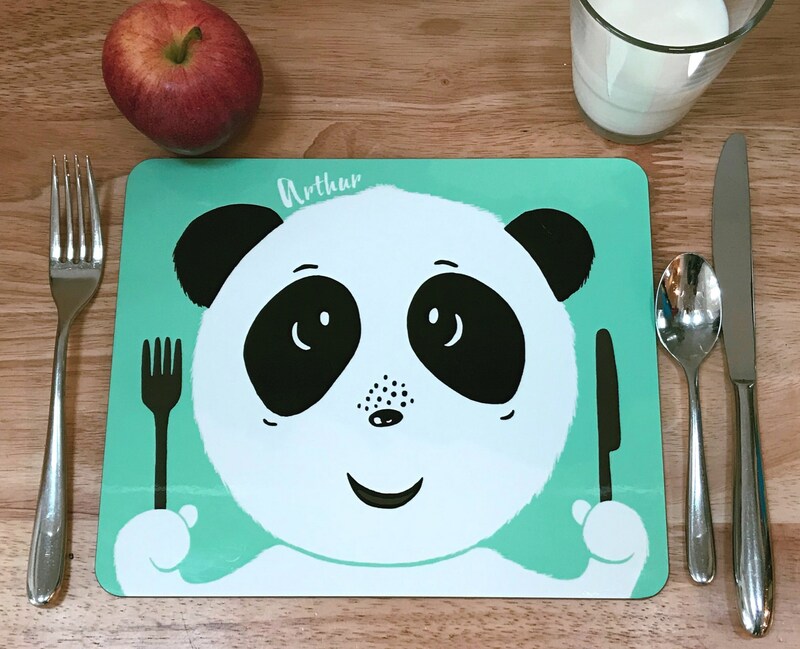 A gorgeous hardboard personalised Panda placemat especially designed to make mealtimes fun! This colourful character will encourage children to help set the table with their special and unique mat at the same time as protecting tables. This eye-catching placemat is made of a hardboard backing with a heat resistant high gloss finish on the front. It measures 230mm x 190mm. Please wipe clean only and do not put in the dishwasher. To personalise this print please provide the name you would like to be included on the mat in the “Add an optional note” box at checkout. Your placemat will be professionally printed to an excellent standard before being carefully packed and posted to you via Royal Mail.